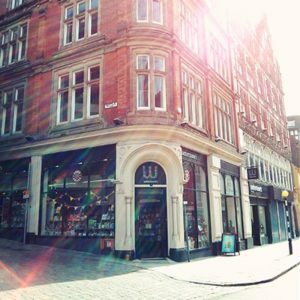 "Read Like a Writer", the podcast from Faber & Faber, Serpent’s Tail and Canongate, will have a live session on historical fiction hosted by Anna Fielding. Held on 13th March at 12:30pm will be joined by Jess Kidd and Claire McGlasson. Looking forward to bringing Bridie to Nottingham. 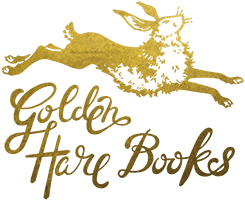 Blurb from the Waterstones site: "Jess Kidd has delighted fans of the eerie and macabre with her previous two novels, BBC Radio 2 Book Club picks 'The Hoarder' and 'Himself'. 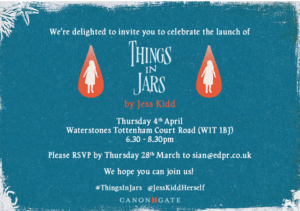 Now we're thrilled to invite her to Waterstones Nottingham for the release of her latest book, 'Things in Jars'. Join us for what promises to be a riveting and unforgettable evening with this Cost Award-winning author." Just before the book gets out into the world on 4 April I'll be reading from Things in Jars in Dublin at the Mountains to Sea Festival in Dún Laoghaire. There's a brilliant line-up at the festival that weekend so I'll have lots of other writers to meet and listen to on my hop across the Irish sea. Looking forward to meeting and speaking Sara Keating on stage. Launch night! Music, reading and vino. 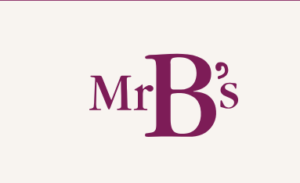 Busy day, off to Birmingham for a lunchtime event before and evening talk. 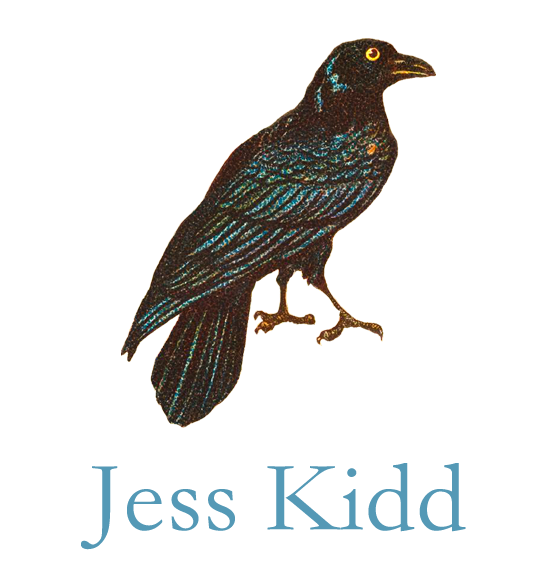 Hope to get time for a look around lovely Foyles bookshop, here's their blurb: "Join us for a lunchtime chat with Costa award-winning author Jess Kidd as we delve into the realm of Victorian mystery with her latest book, Things in Jars."